Running a successful bakery in Australia comes with its own unique set of demands and rewards. Some of the most important things to evaluate to make your bakery a success, are your capabilities, budget, and goals. Once you have a firm grasp on these, you should study the industry trends, so you can offer your customers what their taste buds are craving. Online - One of the benefits of running an online bakery is that you don’t have to operate out of a traditional store. You can start out online or buy an existing bakery that has already established itself as a quality, trustworthy online option. Plus, your website can be a gallery of sumptuous treats as well as a convenient way to place an order. Counter service – If you don’t already, adding a counter-service to your bakery will encourage a large new customer-base of people wanting a quick, tasty treat. Plus, if you create a warm and inviting atmosphere, it will ensure repeat customers! Specialty service - A specialty service is ideal for those of you who want a restricted menu offering a certain kind of baked good. Whether its cakes, pies, or bread. Try not to restrict your offering too much however, and always remember to supply and demand. Choosing the right style of bakery that fits your own talents and goals will help you better manage the daily demands of ownership. Then you can start focusing on creating delicious products to delight your customers. Service with a smile - Even if you or your staff are having a rough day, your customers should not know it. Regardless of your stress levels, offering service with a simple smile and approachable demeanor will go a long way in attracting repeat business. Get to know your customers - Taking the time to have a conversation with your customers is a great way to build your business. Customers will appreciate your attention to detail when you know their preferences and anticipate their “usual” orders. Free stuff and specials - We all love free stuff. Consider running occasional specials such as a free cup of coffee with a pastry purchase. Another great idea is offering a loyalty card where customers will get a free item after a certain amount of purchases. Ask them for input - Show your customers you care by asking them for input on areas for improvement or new products they’d like to see on the menu. This is a great way to show you value their opinion, especially when you implement their suggestions. Challenges are a part of every business venture. The bakery business is no different. It’s how you manage the various challenges that will determine your success. One of the biggest dilemmas you may face is how to make your bakery lucrative without compromising on quality, so be sure to source top-notch ingredients. You’re offering a specialised product, and the impression it makes will determine your success or failure. Staffing issues also seem to be a challenge across the board when it comes to running a business. Be selective when hiring, and don’t settle for employees who are not able to deliver the service your business should do. Another challenge at the forefront of the bakery industry is Australia’s flour shortage. 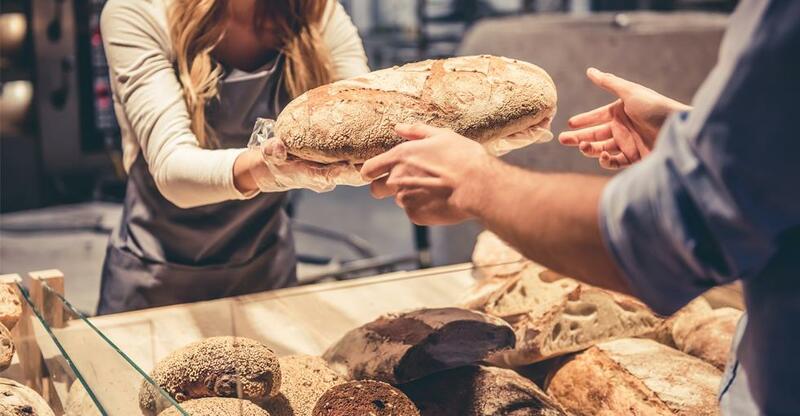 The Baking Association of Australia is advising bakery owners to start saving costs and safeguard themselves as flour prices are forecasted to rise significantly. Therefore this is an opportune time to try some flour-free recipes to add to your shelves and save you dollars in the long run. It’s important to always have your business ready to sell, whether you plan on selling in the near future or waiting until retirement. Life happens and plans change. The more prepared you are, the simpler the selling process will be. Take a look at our selling guide to start utilising some of our tips right now in order help ensure a smoother exit when the time comes.